Eleni & Chris Is a (Very) Scandinavian Beauty Brand to Watch | Like It Gold! 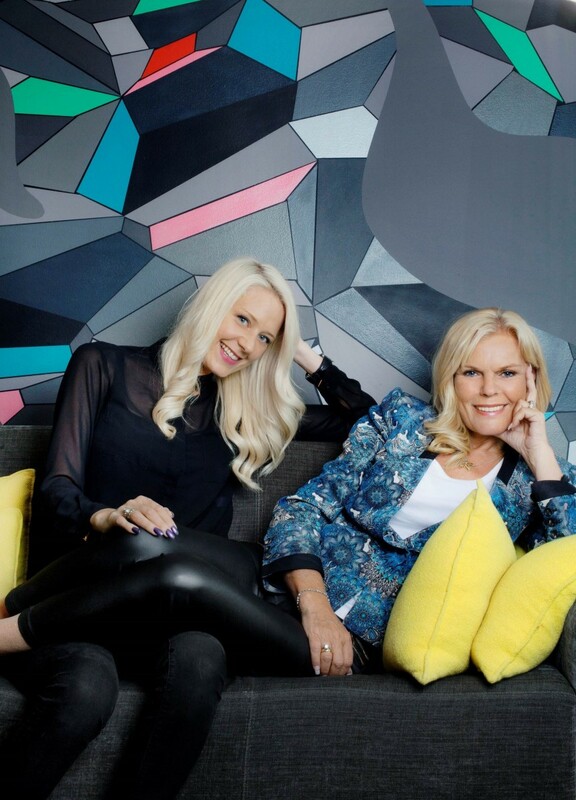 Norwegian mother-daughter duo Inger Ellen Nicolaisen and Christinah Nicolaisen are bringing their rare, exclusive natural ingredients to the U.S. It feels like Scandinavia is starting to rival France when it comes to regional cultures and an aesthetics that outsiders strive to mimic. Most prominently, that has led to an international rise in popularity of Scandinavian furniture and interior design; fashion brands like Acne, Ganni, Henrik Vibskov and H&M’s suite of labels; and local style influencers. More recently, Scandinavians have begun to make names for themselves in beauty. It makes sense: Scandinavia is home to some very attractive people with that effortless vibe so many of us yearn for. Scandinavian beauty brands tend to be focused on sourcing local, natural ingredients, and one of the latest brands to make its first push into the U.S. embodies that to a T: Eleni & Chris, founded by Norwegian mother-daughter duo Inger Ellen and Christinah Nicolaisen in 2015, hopes U.S. consumers will buy into its unique offering of rare (like, really, only-grows-once-a-year-under-the-midnight-sun rare) Scandinavian ingredients. Inger Ellen is the founder and owner of Raise Gruppen Holding, one of the largest hair and beauty brands in Scandinavia. Christinah, her daughter, began working for the family business when she was just 12 years old, and went on to train as a hairstylist and makeup artist, and then study Business of Fashion at London College of Fashion and Central Saint Martins, among other universities. The Nicolaisens started by commissioning research on the efficacy of certain local ingredients for skin and hair care. One was the cloudberry, which hasn’t historically been used in beauty and is actually most commonly found in jam. It’s considered a delicacy in Nordic countries, as it grows in very specific environments and only ripens under the midnight sun. The ingredient is so in-demand that people will actually trespass and steal it from neighboring farmers; it can be so scarce and expensive, in fact, that locals compare it to gold. With that comparison, the Nicolaisens were sitting on a literal gold mine; cloudberry grows on their family property, so they sent some to a lab in London and were impressed with the results indicating its antioxidant properties. “This was very promising because one tiny little berry contains four times more antioxidants than an entire orange,” says Christinah. After extensive testing with various products, they landed on several key uses: One is hair care, which is what the brand launched with. “It’s calming on the scalp and obviously a good scalp is the best foundation for hair,” she says. Another is as an anti-aging ingredient in skin care: It’s moisturizing and proven to reduce wrinkles — 17 percent after four weeks of use, according to the brand’s own research. That was just the beginning. “We thought, OK, are there other ingredients in Scandinavia that could be interesting? And we came across this glacier water,” says Christinah. The brand has exclusive access to Scandinavian glacier water, which they say is unparalleled in its purity. As Inger Ellen explains, the other ingredients in the products work better when the water used is more pure. Next, the brand partnered with Scandinavian researchers who found SEA3oil™ — oil extracted from wild Scandinavian salmon that’s high in omega fatty acids, clear and devoid of any fish smell — which they patented. 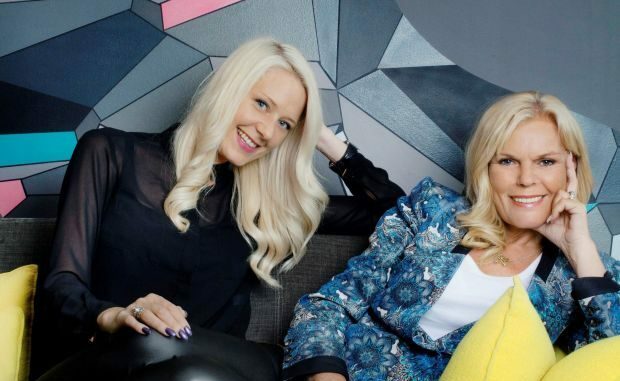 With these proprietary ingredients, the Nicolaisens are aiming to bottle the Scandinavian lifestyle and distill it into a range of hair- and skin-care products that target specific issues. For instance, the Sensimin shampoo, conditioner and leave-in target dry and sensitive scalps; the Pure Treatment oil moisturizes hair and imparts shine; the Fjords cleansing oil and face mist hydrate with SEA3oil™ and the Woods anti-aging products target wrinkles and dark spots with cloudberry. 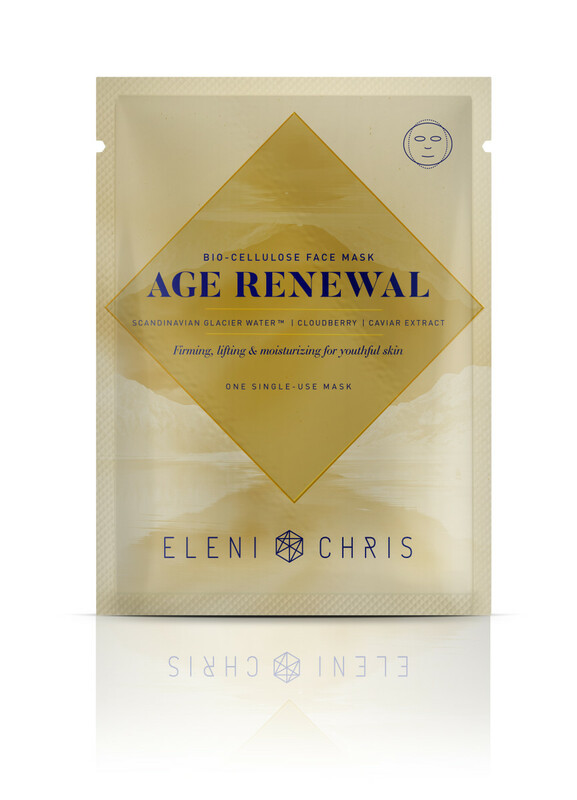 Eleni & Chris’s most recent launch is a range of sheet masks packed with (you guessed it!) these ingredients. Backed by scientific research, savvy Scandinavian branding and a steady supply of cloudberries, Eleni & Chris could very well be destined for shelf space at a chic beauty store near you. Until then, you can shop its recently-launched U.S. e-commerce site here.